101 Munson St. Greenfield, Ma 01301	101 Munson St. 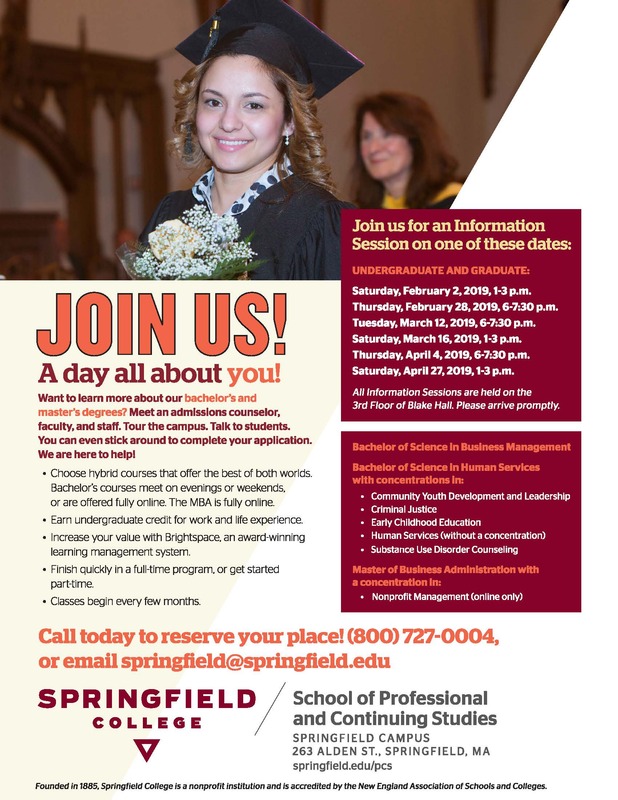 The School of Professional and Continuing Studies at Springfield College will host information sessions in the Spring to busy adults interested in degrees in Human Services, Business Management and MBA on a flexible schedule or fully online. You are invited to "walk the red carpet" and meet our strong, smart, and bold girls! This event is underwritten so guests can attend free of charge. Attendees will have the opportunity to make a donation to Girls Inc.